Hard Candy Metallic Mousse Matte Metallic Lip Color (All Seven!) & Mix-In Pigment Makeup Drops Swatches - Welcome! 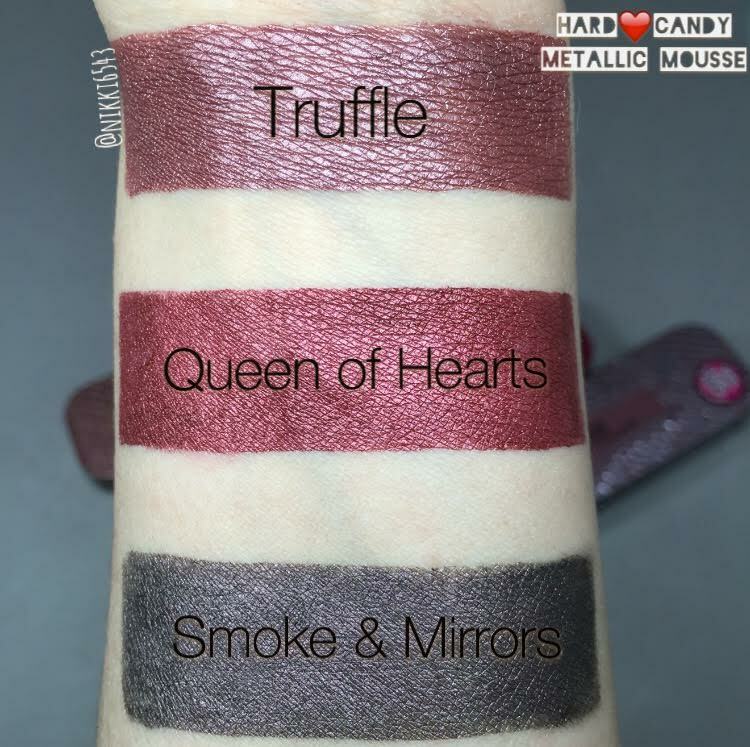 The Hard Candy Metallic Mousse Matte Metallic Lip Color are .22oz/$6 and sold exclusively at Walmart (currently not available at Walmart.com). 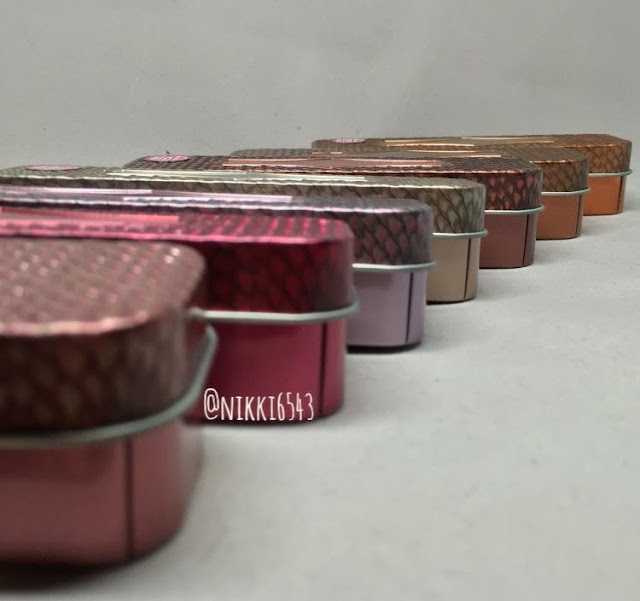 They come in seven shades (I snagged them all) and a cute tin you can empty and use for storage in your purse. They actually really come in handy! Lets compare them to the Milani Amore Mattallic Lip Creme at .17oz/$8.99, Colourpop Ultra Metallic Lip at .10oz/$6, and Jouer Lip Creme .21oz/$18. 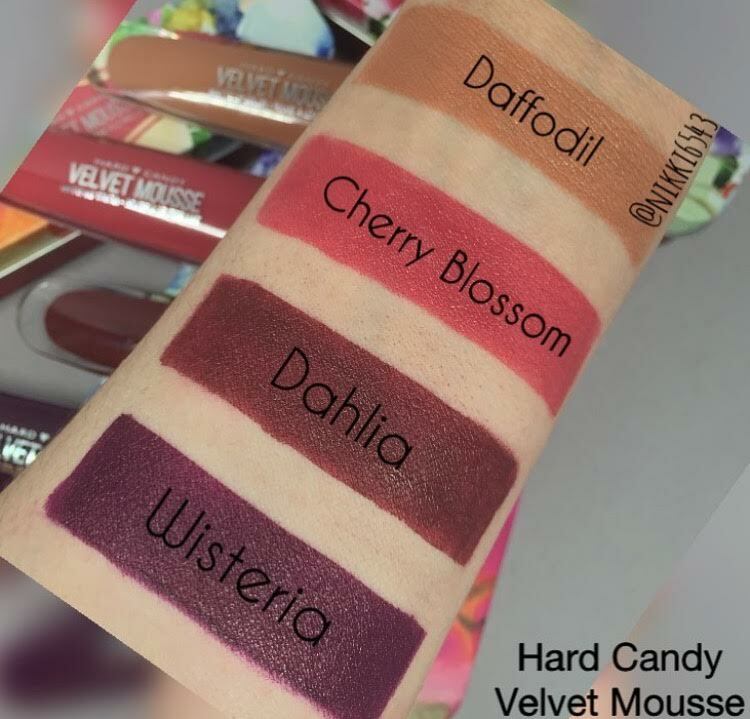 You are definitely getting more product with Hard Candy, so that's a plus! 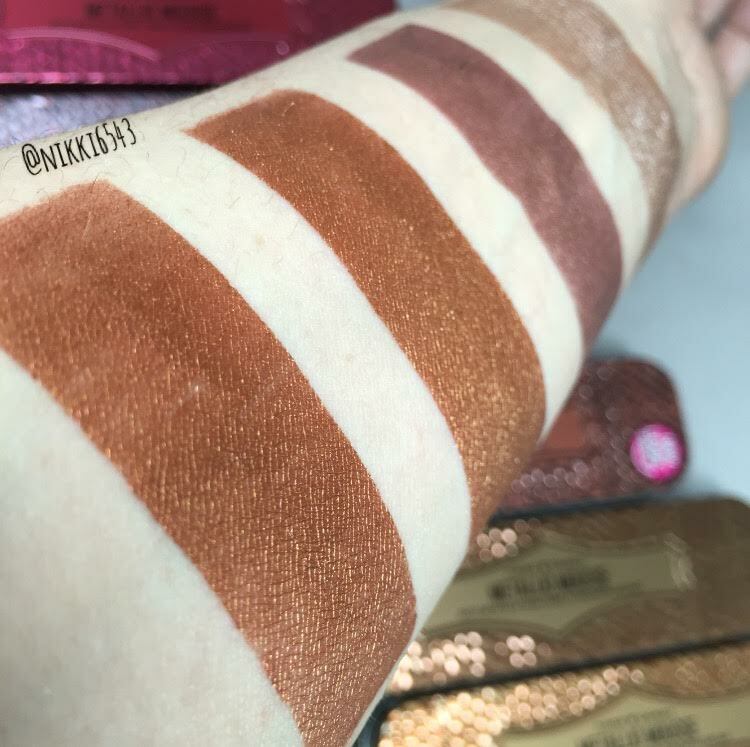 I have an IG post of a few shades I picked up in the Velvet Mousse formula when they first came out, but I never did a blog post about them so I'll add swatches of them too! 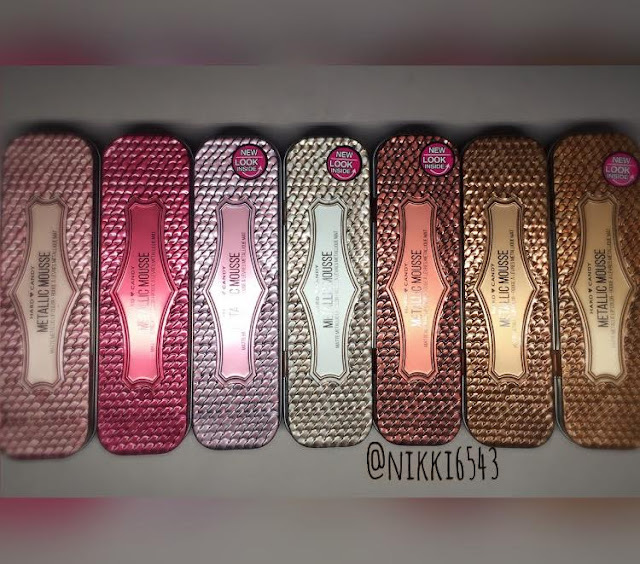 Onto the best part...swatches!! So, here we go folks! The formula of these is similar to the Velvet Mousse and true to description, a moussey consistency. 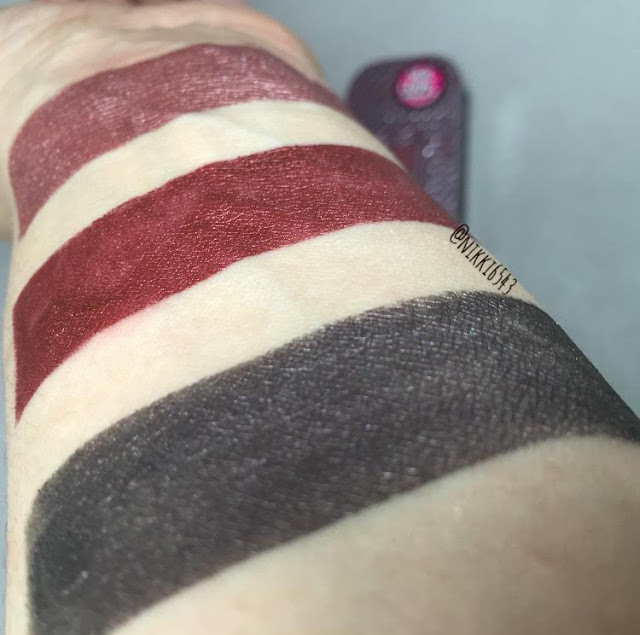 It never completely dries down like Kat Von D, Colourpop Ultra Mattes or Milani Amore Mattallics. It almost dries down and it will transfer a little, but not as bad as a normal lipstick. 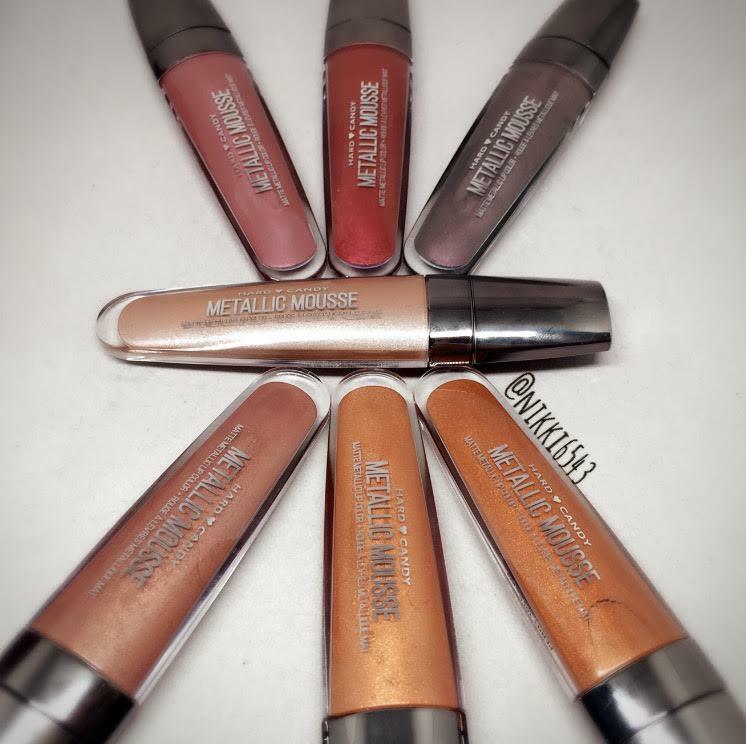 It's a lot like the Colourpop Metallics and I have about the same wear with them both. They have the same long skinny doe foot applicator as the Velvet Mousse, but the Metallic shades have no detectable smell unlike the Velvet Mousse that has a strong cake batter smell. 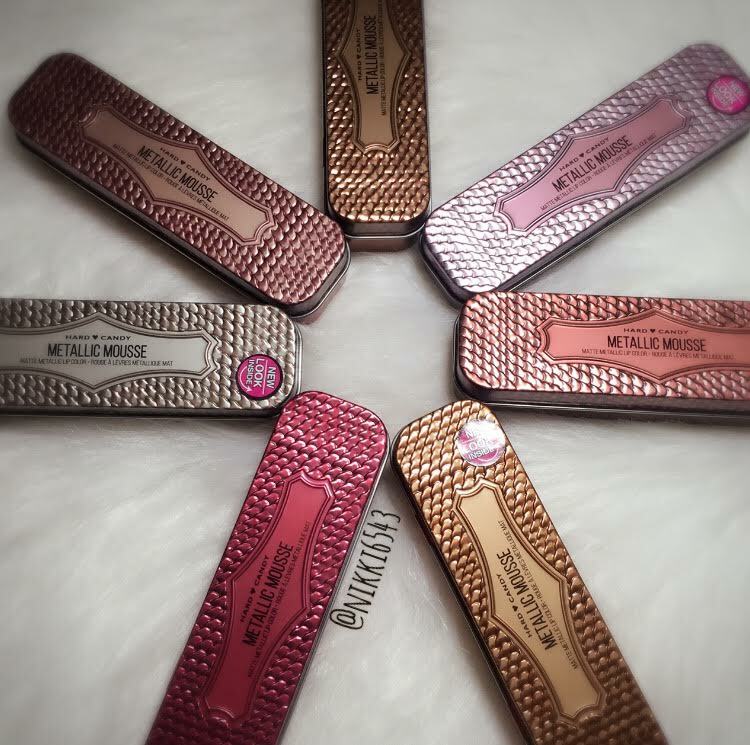 Overall, I know people don't want to spend a ton of money on a lipstick trend, so I think these are a great buy! You get more then double the product opposed to Colourpop that comes in at the same price and you get a tin case you can reuse, so win-win. Now, about the Hard Candy Glamoflauge Mix-In Pigment Makeup Drops coming in at .5floz/$7. They come in 12 shades and I can't lie their shade range isn't impressive for deeper skin tones which is unfortunate. They have Fair 1 (1172), Fair 2 (1173), Light 1 (1174), Light 2 (1175), Light 3 (1176), Light 4 (1177), Medium 1 (1178), Medium 2 (1179), Medium 3 (1180), Deep 1 (1181), Deep 2 (1182). 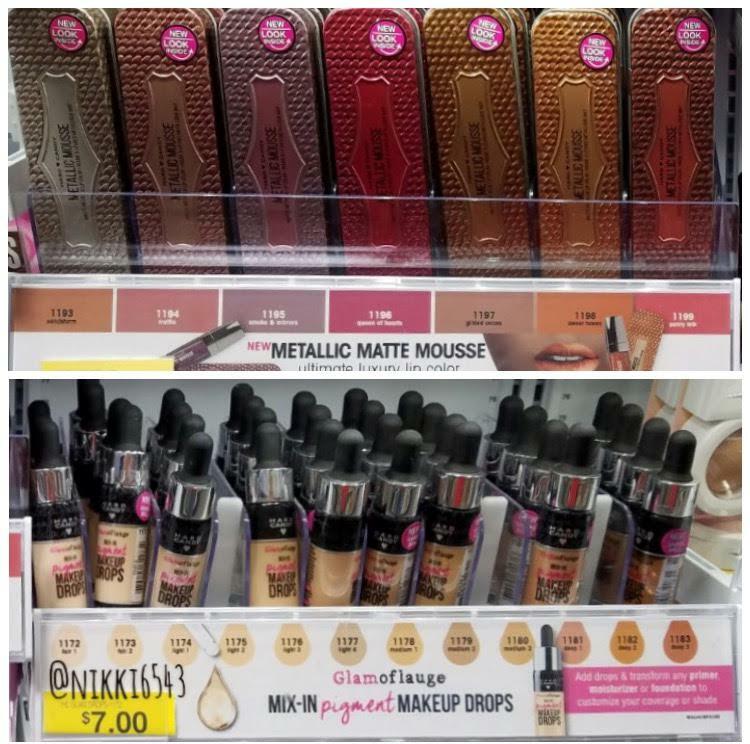 Hopefully, if they do well they will extend their shade range. I grabbed Light 3 (I also wanted Light 2, but they were out). 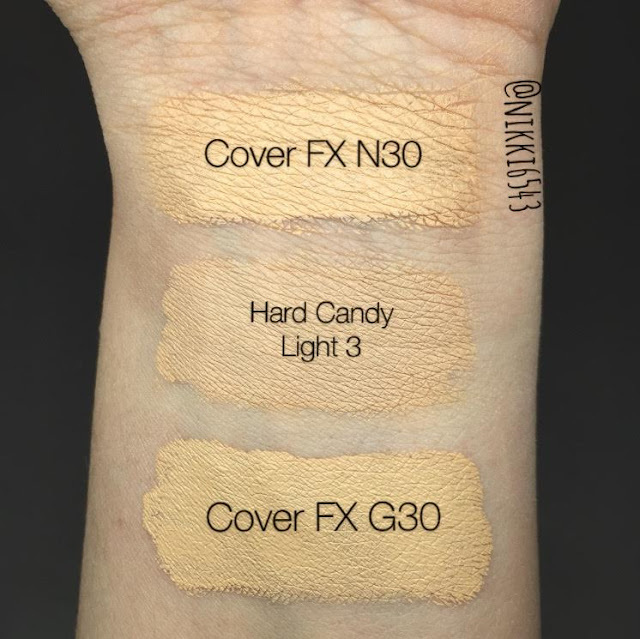 I do own the Cover FX Custom Cover Drops .5oz/$44 in G30 and I have a sample from a promo in N30, so I compared all three. The Hard Candy Pigment is no doubt much more of a watery consistency compared to Cover FX. They get more messy on the bottle and the opening is just that...a wide opening, so if you spill them you are going to have a HUGE mess, but with the huge price difference no biggie. I feel you have to use 4 drops of the HC to get the same results of 2 drops of the Cover FX, even so you can buy 2 bottles for $14 and save yourself $30! Major downside though is the shade range. Come on HC get it together! I need to play with the drops more, but first impression they are a great alternative to the Cover FX. I mixed them in with my daily moisturizer this AM and the finish was the same. I have Cover FX on one side and HC on the other and honestly you cant really tell, so the HC Light 3 leans more neutral/yellow. Now to track down Light 2 and do an update!!! The packaging is neat! Great post! These look great! Thanks for posting! Super helpful because I don't like my Wall Mart's beauty section... so I'd probably just order online! Lol! You can make a foundation lighter with these right? 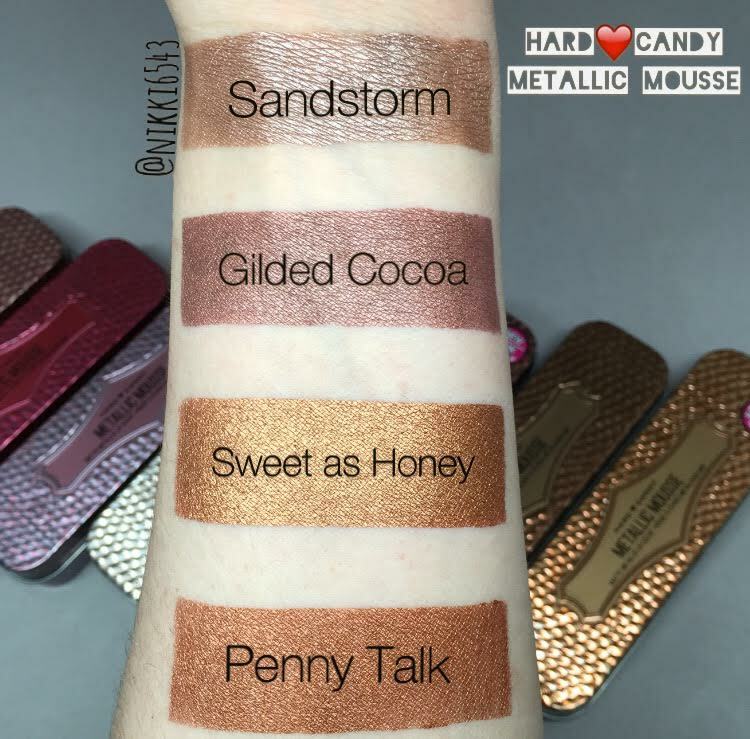 I would get the Hard Candy Metallic Mousse just for the containers. 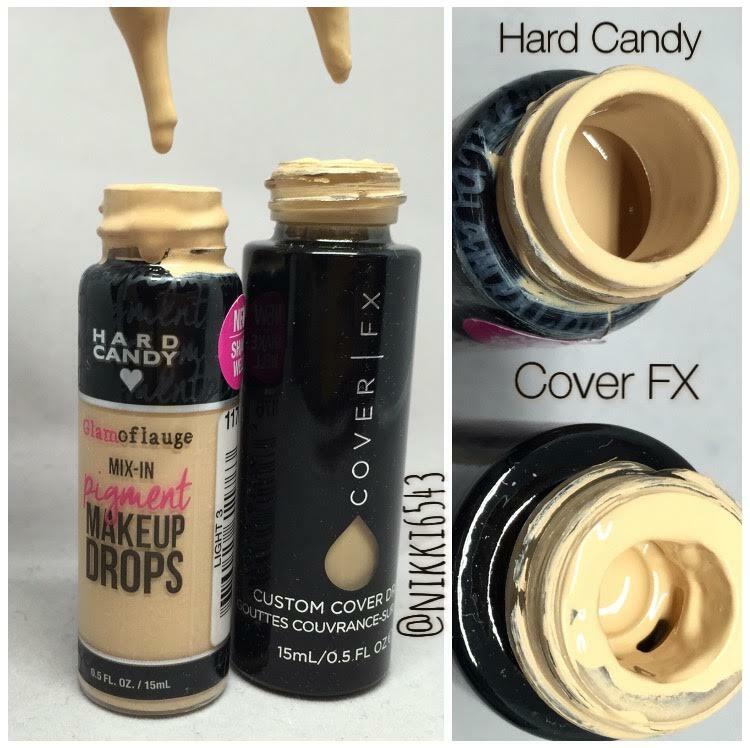 I think the drops would be a good deal if you're only using them to lightning or darken a foundation. What is the texture difference? Did you compare adding each product of color drops to a moisturizer? How each compare when mixed?